When not toiling on the assembly line, Renée the Riveter manufactures a surplus of pain for her competitors. Drilling arms into submission is her specialty. 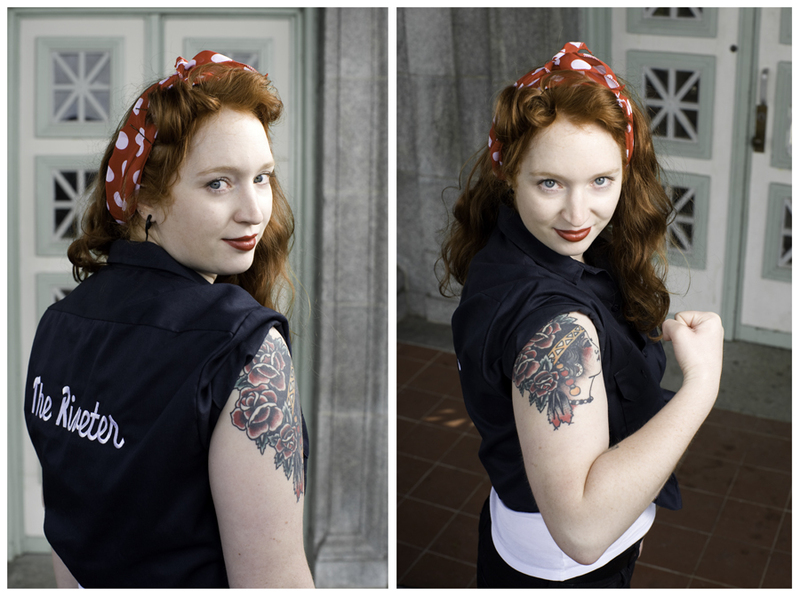 Do your duty and support the efforts of this fiery dame, or face the wrath of the Riveter. She’s making history, (arm) wrestling for victory.